Situated within strolling distance of Portscatho, home to a small beach that's slightly more suited to boating than bathing, Arthur’s Field is a simple, grassy campsite with a rustic vibe that will relax even the most stressed-out of city dwellers. Even the current owners first visited the place on holiday and fell so in love with the place they decided to buy it. Well-suited to families, it has ample clean facilities – including a cute washing basin at child height – and, in the summer, Debbie and Peter mow parts of the grass to create a makeshift football pitch. Coastal Valley is a campsite with a twist. Here you can find willow-weaving, slate painting and fabric printing on offer as regular activities. You can camp, glamp, and pamper yourself by the elegant stream as the divine Cornish landscape takes you in. 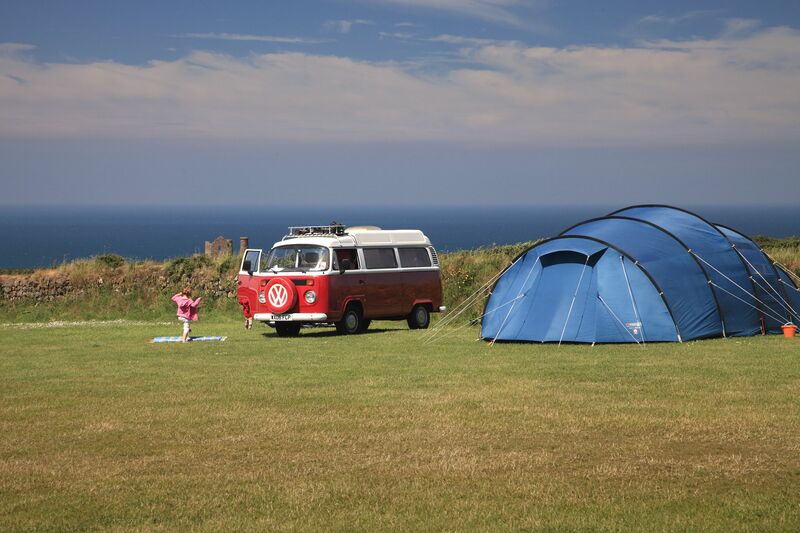 Tranquil and relaxing, Coastal Valley Camp & Crafts is tucked away in a secluded Cornish valley, a mere 20-minute walk from the fine golden sands and world-class surf of Watergate Bay. It’s also dog-friendly, and comes with a plethora of high-tech amenities. 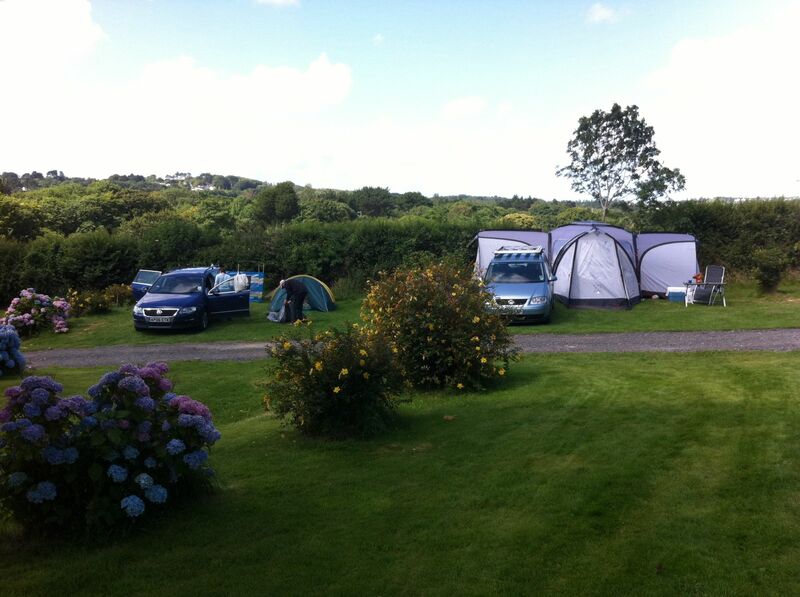 Tremorvu is a pristine family-run campsite spanning four picturesque Cornish fields. There are fully-equipped glamping options available, as well as acres of land for a whole host of DIY camping experiences. Eight acres of beautiful countryside welcome you into Tremorvu’s grounds, and nature lovers may well spot foxes, badgers and owls in the area at disk. Soak in views of the Atlantic Ocean and the Penwith Peninsula as the sun goes down, or climb the nearby Tregonning Hill for an even better vantage point. Situated a mere 2 miles from the world-renowned Eden Project, East Crinnis Farm is a rural camping and glamping retreat in the heart of Cornwall. The winding paths, duck-dotted ponds, and warming communal campfires make you feel like you’ve stepped into the Cornish equivalent of Hobbiton. But East Crinnis farm is very conveniently located here in the real world, with only a short journey required to reach Cornwall’s most glamorous beaches, ice cream kiosks, and magnificent south coast. 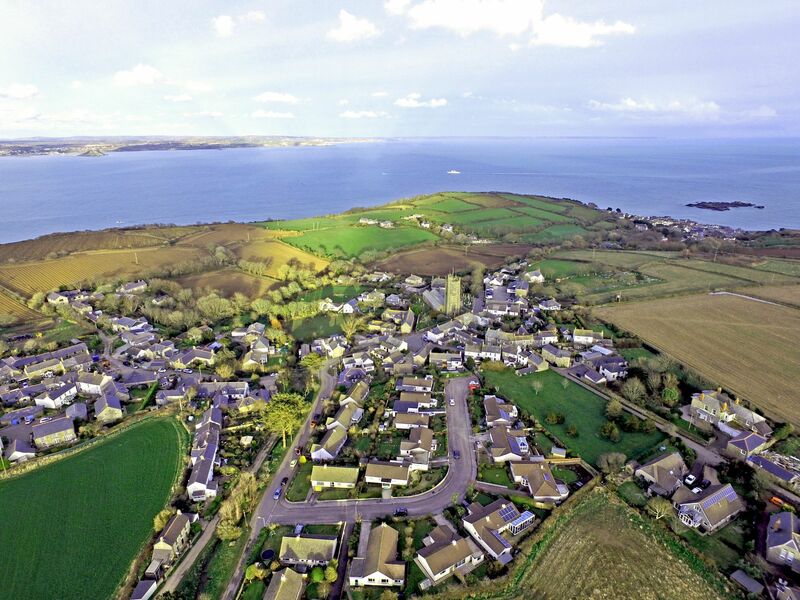 Situated near Mevagissey, 12-acre Tregarton Park is close to multiple sand beaches and also boasts its own swimming pool for rainier days, along with a large playground and all-weather tennis courts . Secluded camping (including hedgerows for privacy), is a staple and the space is ideal for allowing children to run free. 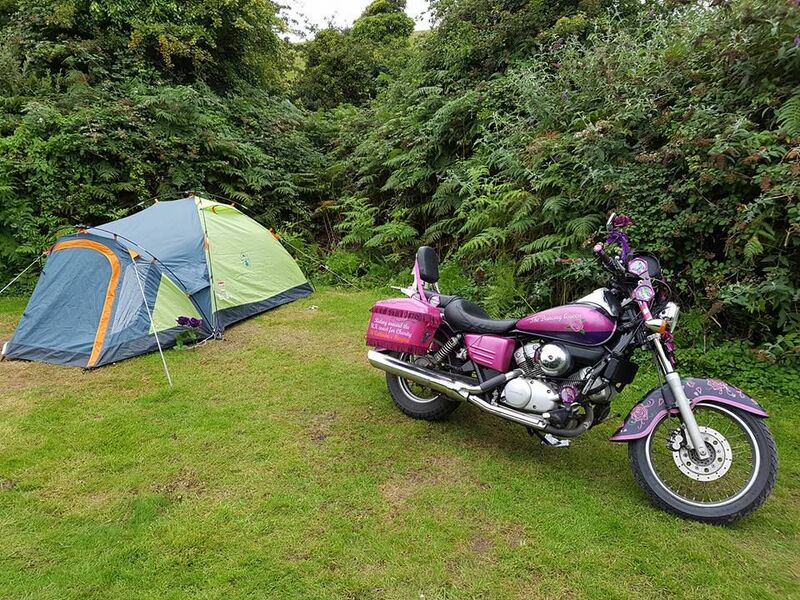 Mousehole Camping is a family-friendly and pet-friendly site based on the grounds of the local football club in Paul, Penzance, a one mile walk up the hill from picturesque Mousehole Harbour. 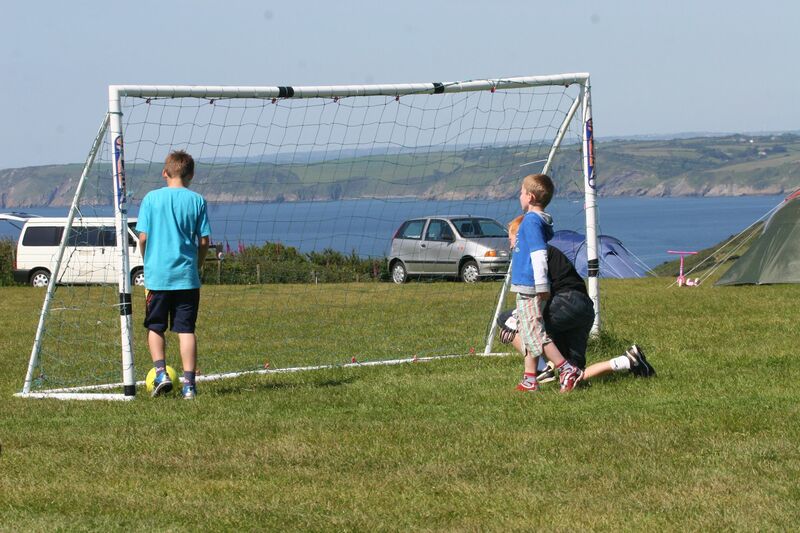 Your unlikely to catch a bit of the beautiful game by the beautiful bay – the campsite usually opens after the football season ends – but it’s a fine spot weather you like football or not. WiFi is available on site, and at busy times the football club’s clubhouse opens, serving up drinks and food! Set on a 200-acre organic working farm, breeding sheep and cattle, Treveague Farm’s campsite hosts spectacular, expansive sea views and caters nicely to children with an adventure fort and swings. 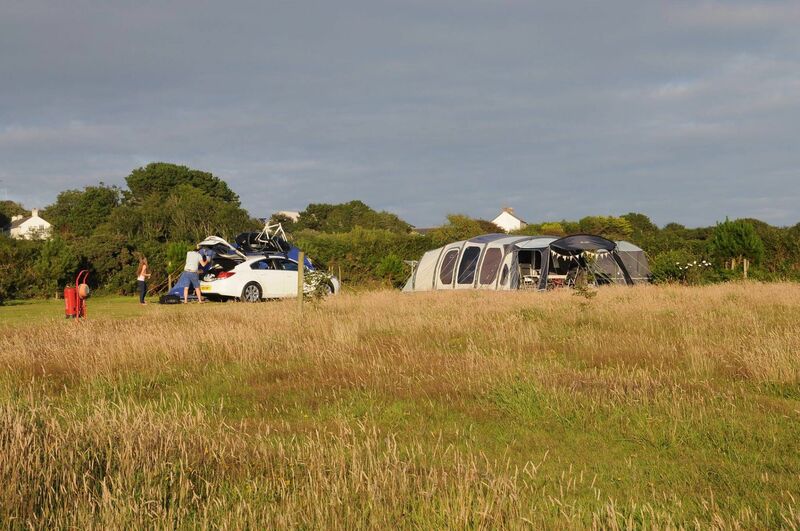 The owners of Treveague Farm are immense camping fans themselves, and seek to share their slice of Cornish heaven with travellers from all over the world. The farm’s own produce is usually on offer too. 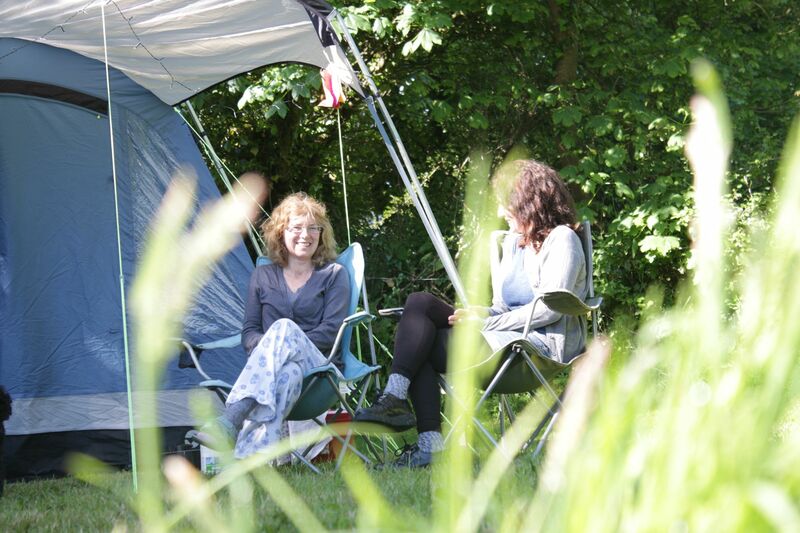 Situated around the perimeter of two spacious fields, Elm Farm Campsite gives children and adults alike plenty of room to play and enjoy themselves! Campers and glampers are both welcome, and the site provides fairy-light-illuminated facilities to their guests – an endearing and magical touch. Nature lovers will cherish the frequent sightings of buzzards and the occasional stoat, while on-site bike hire allows you to make the most of the handy location beside some of Cornwall’s most popular cycle routes. 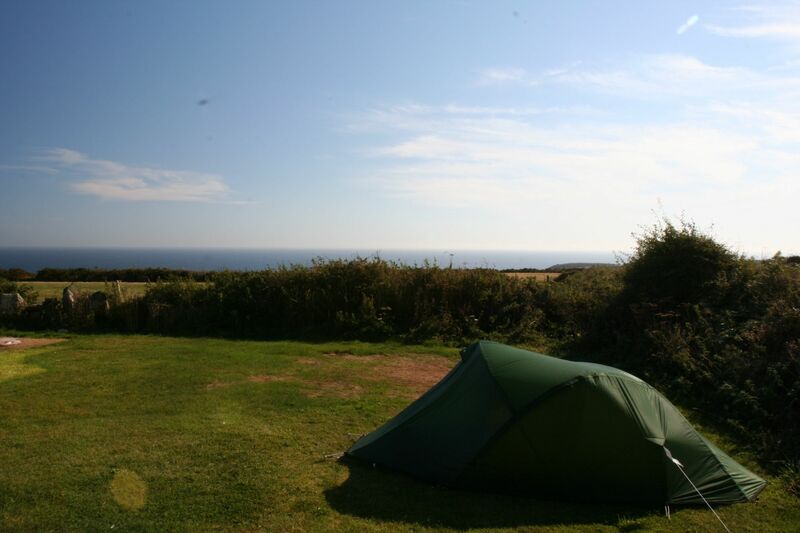 Beacon Cottage camping site is a picturesque extension to a traditional Cornish family farm. Conveniently situated on the South West Coast path, this rural camping site is a perfect base for those who wish to go hiking (or strolling!) along the incomparable Cornish coast. Beacon Cottage’s 650 acres houses a number of farm animals, and you are likely to find a wild selection of local flora too! Located 10 minutes’ walk away from the sandy coves of Chapel Porth Beach, you’re but a skip away from surfing, sunbathing or sandcastle-building. Treen Farm’s unique selling point is its idyllic cliff top location. The sea views, encompass the Lizard Peninsula and the distant Isles of Scilly, make for an unforgettable experience. Treen Farm is perfect for climbers, surfers, walkers, or just those who enjoy seeing the local wildlife. 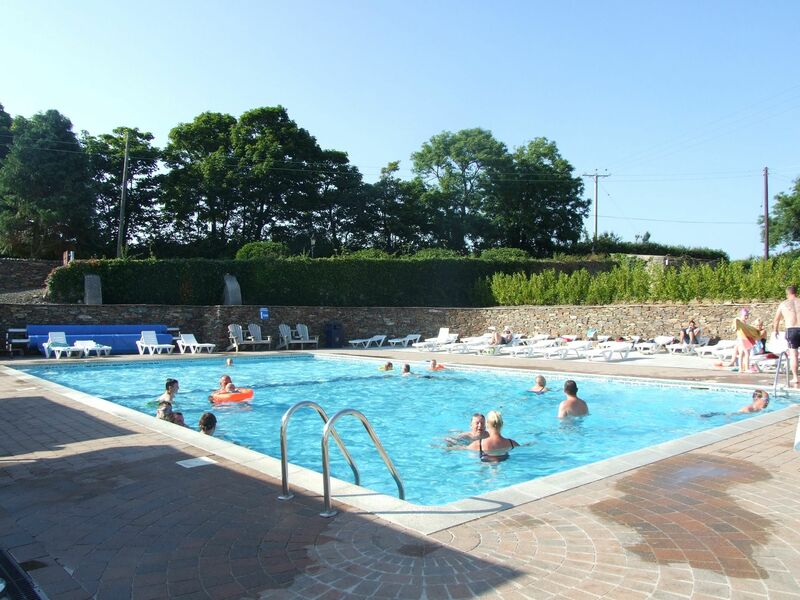 The campsite has a number of amenities including showers, toilets, laundry facilities, and a fully licensed shop selling local meats, fruit and vegetables, ice creams, beach goods and more. Perhaps the most charming aspect of Treen Farm is its fire pit area, which keeps campers warm while budding musicians strum “Kumbaya” and the likes on their instruments. Still haven't found what you're looking for? 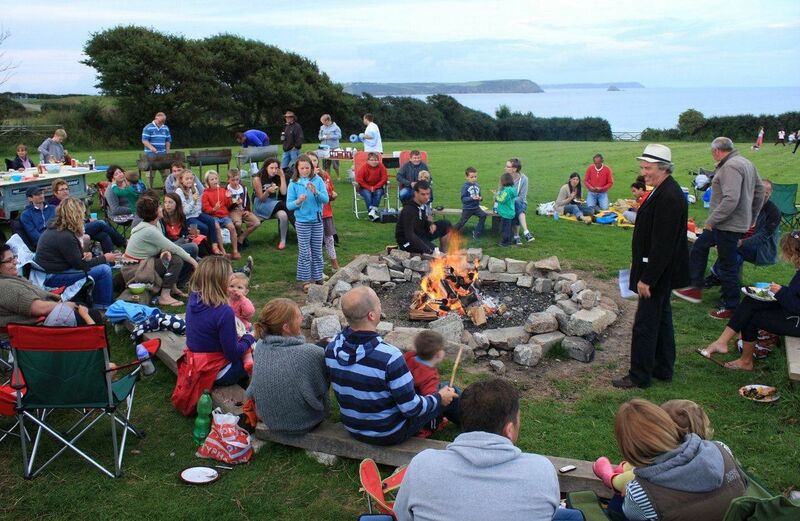 Browse through all of our campsites in Cornwall or take a look at our entire collection of campfire-friendly campsites.